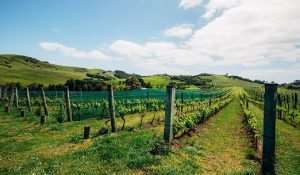 Make a day of your trip to Waiheke by adding on the Wine on Waiheke tour. This stunning winery tour combines world class wine set against the backdrop of stunning vistas of Waiheke Island. You can enjoy premium tastings at three of Waiheke’s finest vineyards: Mudbrick, The Goldie Room and Te Whau Vineyard, and the excursion includes a return ferry trip and an All Day Bus Pass to be used to explore.. 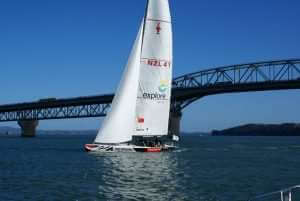 If there’s one thing you must do in Auckland if you love sailing, it’s an Americas Cup Sailing experience. Feel the thrill of sailing an authentic America’s Cup yacht when you take the helm to help steer on course or work hard on the grinders to hoist the mainsail. During this hands-on sailing adventure on Auckland’s Waitemata Harbour you’ll discover the excitement of sailing these impressive vess..
Immerse yourself in Auckland’s harbour setting with dinner on a beautiful boat. During an enchanting dinner cruise in Auckland, you will soak up your destination’s atmosphere from the peace of the harbour waters. Glide past the city as it lights up and watch the sun set over the inner harbour. 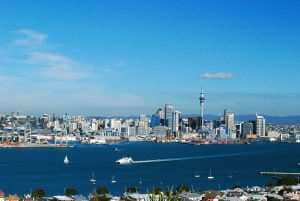 On this pride of Auckland dinner cruise, you’ll enjoy a sumptuous three-course meal below deck in the int..